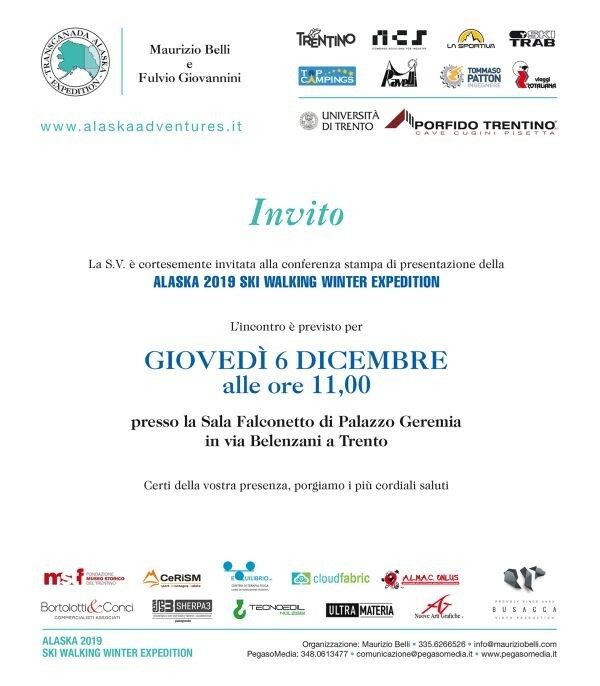 Alaska 2019 Ski Walking Winter Expedition is the next expedition of the project Alaska Adventures which will cross Alaska and Canada during the frightful polar winter. Following the roads of Klondike gold rush, the expedition will be partly on skis which will tow a sled on the snow and partly on foot with the sled towed on wheels. The choice fell upon a sled both to transport materials and basic supplies but also to emulate the limited possibilities available to pioneers at the end of the nineteenth century and their lonely crossing in 1997. NCS is sponsor of this project as provider of the hull and also of the two sleds laminated in carbon fiber designed by students of the Department of Material Science and Industrial Engineering of the University of Trento. The challenge will be 1300 km long for approximately 50 days facing cold, thin ice, temperature variations and….grizzly bears! NCSTeam wishes Maurizio Belli and Fulvio Giovannini good luck for the adventure!